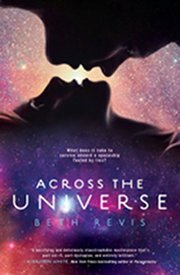 Beth Revis: Across the World Tour & Contest! How fun and exciting! I'm racking my brain to figure out the PW but alas, I'm not smart enough just yet. Hmm, I think we need a new word here, because EPIC doesn't quite cut it for how incredible this tour will be. I love a good puzzle, and the prizes wow! I'm still knocking but that password won't let me in. Oh, I'm looking forward to this Beth! It's Supercalifragilisticexpialidocious! Checking in! Sounds like fun! This sounds really fun, Beth!